Taking the company’s high-intensity workout approach to court, CrossFit claims in the company’s lawsuit against Reebok that the company is owed “at least $4.8 billion,” plus potentially more for underpaying marketing obligations and diverting sales to reebok.com to also reduce royalty payouts. In 2010, Reebok secured the exclusive license to sell fitness apparel and footwear products bearing the CrossFit trademark for ten years. According to the lawsuit filed in the United States District Court, Northern District of California, CrossFit claims that the CrossFit rights have since “breathed new life into the Reebok brand and played a critical role in helping Reebok make a long-overdue comeback.” CrossFit described the deal several times as a “bargain” given the subsequent further growth of CrossFit. At the heart of the lawsuit is a dispute over the royalty rate Reebok should be charging as part of the company’s agreement. CrossFit claims that Reebok at points based the rate on wholesale revenues rather than retail revenues, bringing the rate down 50 percent. Seemingly secondary charges are that Reebok failed to meet “substantial marketing commitments,” although that’s because CrossFit claims Reebok refuses to provide proof of the company’s marketing spend behind CrossFit. A third charge is that Reebok funneled potential customers of CrossFit-branded products to Reebok’s online store in order to avoid higher royalty from sales on CrossFit’s online store. The lawsuit also indicated that Reebok’s relationship with CrossFit will likely end in 2020 when the contract expires, if not sooner. “All told, Reebok’s deceptive and dishonest conduct has robbed CrossFit of the benefit its bargain to the tune of at least $4.8 million in royalties and has tarnished what was once a golden opportunity for Reebok to revive its image and establish a long-term partnership with the highly-valued crossfire brand,” CrossFit said in the release. In a statement, Reebok vehemently denied the charges and said the company remains fully committed to supporting the CrossFit community. In late August of that year, CrossFit identified numerous deficiencies in Reebok royalty report for the second quarter. By December, Reebok proposed an amendment that would “ratify, post hoc, the royalty valuation method it had been implying and hiding from CrossFit.” CrossFit refused to accept the proposed amendment. Reebok did not refund the $1.65 million owed, but for the first three quarters of 2017 and “for the first time since 2012, Reebok paid royalties in accordance with the agreement,” CrossFit wrote in the lawsuit. However, Reebok “returned to its deceitful practices again a few months later” when the company began basing royalty payments based on the wholesale, not only for sales online, but offline sales as well. The lawsuit will determine to what degree CrossFit athletic footwear and apparel “has surged,” as CrossFit contends, under the deal, as well as the degree to which CrossFit is helping with Reebok’s revival. Reebok, however, has long underperformed, and any recovery in recent years has missed the U.S. region where CrossFit was founded. Acquired by Adidas in 2005, Reebok’s shift from traditional sports to fitness, as well as away from promotional pricing to premium pricing supported by cutting-edge innovation, has been spotty at best. The shift came a few years before the company hatched the CrossFit deal. 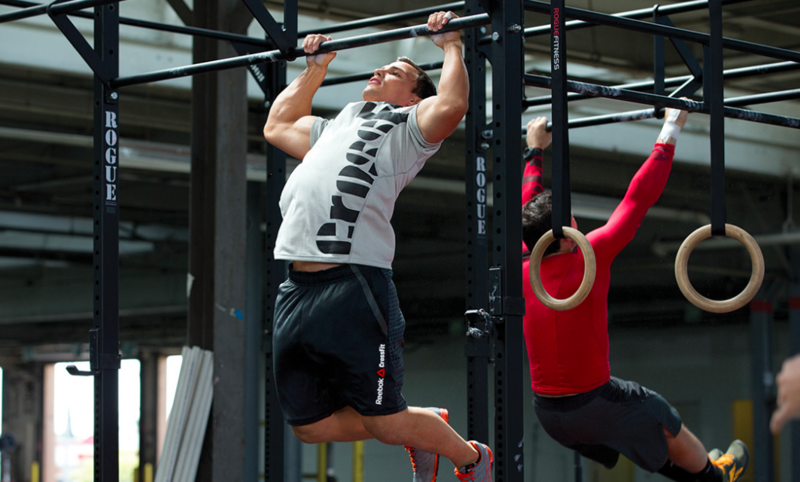 Reebok in 2016 updated the company’s turnaround efforts with the launch of “Muscle Up,” a four-year plan designed to accelerate Reebok’s top-line growth in the U.S. and improve the company’s overall profitability. On a currency-neutral basis, Reebok’s revenues declined 7 percent in 2015, were down 1 percent in 2016 and gave back 2 percent in 2017. Reebok has been closing many of the company’s outlet stores to help the company’s positioning in the marketplace. In the first quarter, Reebok’s global revenues were down 3.0 percent on a currency-neutral basis to €440 million ($527 mm) while sinking 10.6 percent on a currency-neutral basis. The decline was mainly due to sales declines in Asia-Pacific, Russia/CIS and Latin America. The Asia-Pacific business was impacted by declines in Japan due to a mature economy and South Korea due to the impact of travel bans on Seoul. North America returned to growth in the first quarter, up 3 percent. A return to growth for Reebok was also seen in Western Europe. Gross margins at Reebok grew 270 basis points to 41.8 percent, driven by successful execution of Muscle-Up initiatives.